Sorry Obama, Helen Mirren almost stole the White House Correspondents’ Dinner out from under you. The British actress strolled down the red carpet at the annual event in Washington, D.C. Saturday in a shimmering purple gown that she wore to honor Prince. The beloved singer died suddenly on April 22 at the age of 57. 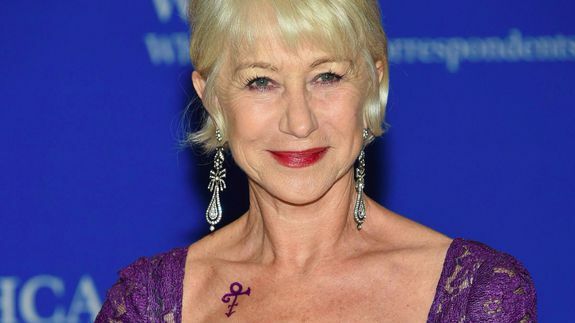 Not done with just the stunning dress, Mirren also sported a temporary purple tattoo just below her collar bone in the shape of the “love symbol” the musician was known for.